This is a filter. So Microsoft has decided, in their latest mobile browser called Edge, that they’re going to make this as part of the browser that you can just simply see a badge. … What it does is it comes in red if it’s “unreliable,” and it comes in green if it’s “reliable” or trustworthy sources. Watch the full segment here at the 36-minute mark. Knutsson’s only concern is if Silicon Valley, is if Facebook grabs control of NewsGuard, but as is, with establishment types running the blacklist, he thinks it’s pretty freakin’ awesome. Well, of course, the backstabbers at Fox News love this blacklist. Why wouldn’t they? 1) Fox News is not blacklisted and 2) Fox News’s competition at Breitbart News and other right-leaning sites are blacklisted. What is Fox News going to do when Microsoft and NewsGuard add Fox News to this blacklist? Seriously, what is Fox going to do now that it is on record gushing over just how “fair” and “down the middle” NewsGuard is? In brief, what is Fox News going to say for itself when Fox is blacklisted just in time for the 2020 presidential election, which is probably what’s going to happen? Fox News has no principles. This is a news outlet that will rage against Silicon Valley when Silicon Valley harms Fox News. But if a Microsoft (which I believe is part of Silicon Valley, Kurt) launches a blacklisting tool and Fox News is not blacklisted, well, then, Hell, yeah, this thing is awesome! And it hurts our competition and it might send more advertisers our way and since we have no principles, we love this thing, Hoss, and so should you! 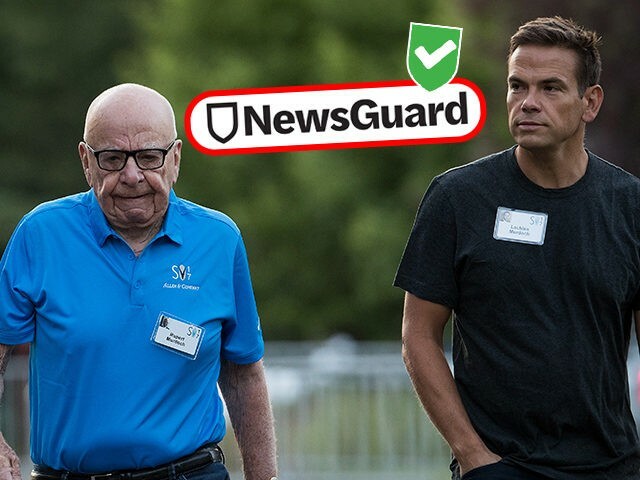 Fox News is also misleading its viewers into believing Microsoft’s NewsGuard is “fair” and “straight down the middle” because, as Breitbart News reported, NewsGuard is blacklisting Breitbart News only for the sin of reporting stories the establishment does not want reported. In its lengthy critique of Breitbart News, NewsGuard did not list one story — not one — that Breitbart got wrong. All the blacklisters do is whine about our opinion pieces (which are clearly marked opinion) and crybaby over our accurate reporting on things NewsGuard does not want the public to know. It is all laid out right here. While NewsGuard is blacklisting Breitbart News for telling the truth, this very same NewsGuard is marking as “credible” proven hoaxes and news so fake they have been retracted. You think I’m kidding? Read this. 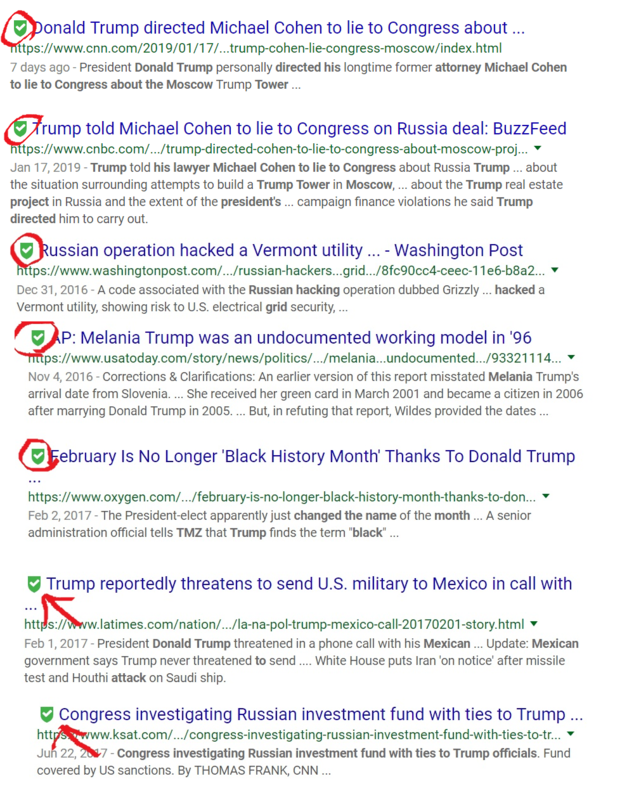 Microsoft’s NewsGuard is nothing less than a hoax site with two functions: 1) As you can see in the Google search screenshot above, NewsGuard is marking as “credible” the grossest lies about President Trump, so this is all about misleading voters in 2020. 2) NewsGuard wants to sucker advertisers into believing it is credible as a means to starve publications like Breitbart News that dare to report (accurately) stories the establishment does not want reported. No decent American is okay with any kind of central authority backed by a multinational corporation like Microsoft abusing its power to publish blacklists.